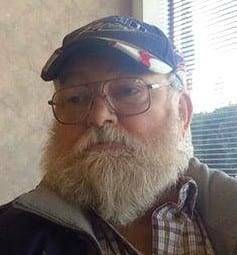 David A. Cain, age 75, of Bryan, Ohio, passed away Saturday, March 23, 2019, at Hospice Care north of Defiance, Ohio. Dave was born Aug. 23, 1943, in East Liverpool, Ohio. He is survived by his wife, Ranea Cain of Bryan; brother, Ed (Brenda) Cain of Bryan, Ohio; sister, Elsie (Frank) Harper of Conneaut Lake, Pennsylvania; four sons, Ty (Michelle) Cain, Todd (Susan) Cain, Jay (Melanie) Cain of Spencer, West Virginia, Dino Cain of New York; one stepdaughter, Tonya (Gary) Jones of Bryan, Ohio; several grandchildren. Dave worked at TST Pottery, Chester, West Virginia, until it closed. Dave also worked at Ferro Corp. for 23 years before retiring. Dave enjoyed going to auctions, NASCAR races, and fishing and camping. A gathering to celebrate Dave’s life will be held Aug. 24, 2019. Be the first to comment on "David Cain (1943-2019)"